The art of writting beautiful letters is ever present. The Hahnemühle Hand Lettering Pad offers hand lettering enthusiasts a first-class foundation for practising their art. 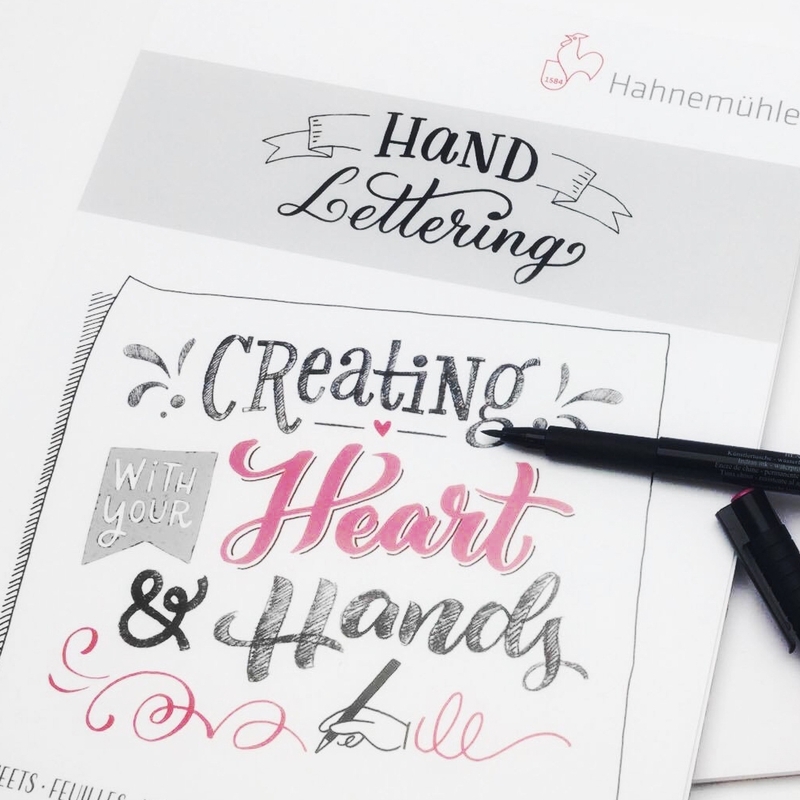 Developed together with hand lettering artists, it has been tailored to their specific needs, forming the basis for outstanding lettering. Brush pens, fine-tip pens and pencils simply glide across the highly smooth paper. Preliminary sketches can be easily rubbed out on the coated surface, and the tips of sensitive brush pens or paintbrushes are preserved. The smooth, closed surface traps colours and prevents bleeding. The brilliant white paper ensures vibrant colours; both monochrome and multicoloured motifs stand out and can be easily scanned and then further processed digitally. These pads offer the perfect absorption and drying behaviour for brush pens, fine-tip pens and felt-tip pens. The paper weighs 170 g/m², and the pads – 25 sheets each and bound at the top – are available in A5 and A4 format. 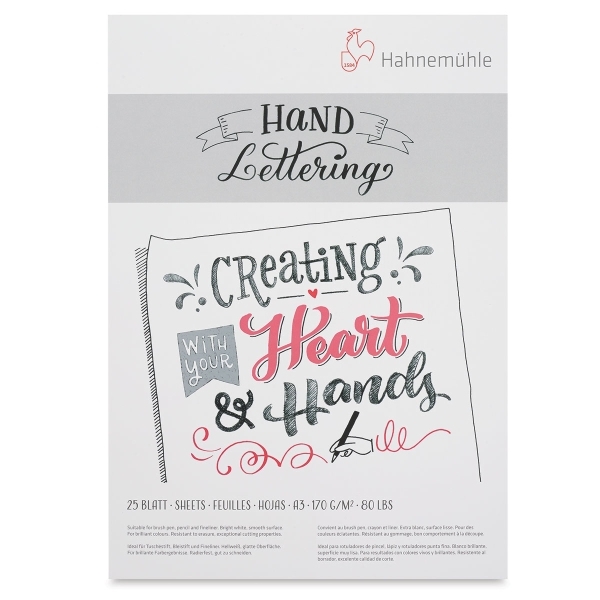 Hand lettering artist Frau Annika.created the pad cover.